Are you tired of the confined feeling of a wooden or iron railing? Why not break those barriers and choose a custom glass railing from Classic Glass & Mirror. Whether you choose an interior, exterior railing or both, a glass railing will become a conversation piece in any room or outdoor space. Glass railings have quickly become one of the most popular choices as they can make any space feel luxurious. There are also many features of a glass railing that make them incomparable to any other options you may be considering. Glass is one of the strongest materials to use for your railing. Classic Glass & Mirror also offer a variety or handrails and fasteners to ensure your railing can weather any type of elements, such as a busy family or nature’s whirlwinds. Tempered glass, also known as safety glass, is 4 times stronger than non-tempered glass and if broken, tempered glass fractures into small, relatively harmless pieces that are less likely to cause injury. At Classic Glass & Mirror, we don’t want you to have to compromise visual appeal for a safety. Choose from a variety of attractive railings for your indoor and outdoor spaces that are safe in all aspects. 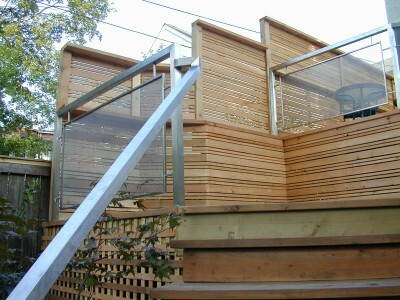 Our custom glass railings are backed by a 1 year service warranty and a 3 year manufacturer warranty. Whichever system you choose, you can trust our high quality and dependable craftsmanship.